When car accidents occur, the results can be devastating. In addition to the damage to your vehicle, you can end up suffering serious and potentially debilitating injuries. Even a seemingly minor injury can require ongoing medical care and treatment, leaving you with lasting disabilities that can impact your ability to work, while preventing you from being able to enjoy hobbies and activities with family and friends or even being able to care for yourself. With so much at stake, it is important to get legal representation before accepting any settlements. At the Law Office of Steven G. Lavely, our board-certified trial lawyer has the experience and skill needed to negotiate on your behalf, so that you can get the maximum amount of compensation you need to recover. 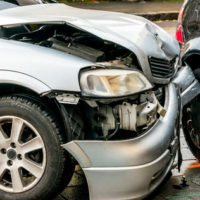 If you are involved in a car accident, your first steps should be to notify law enforcement, exchange information with other drivers, seek medical attention for your injuries, and notify your insurance company. You will be assigned a claims representative who will handle your claim, and an insurance investigator will be assigned to your case. Edmunds advises taking photos at the accident scene, your injuries and the damages to your vehicle, as these may be of use later in the event the insurance company disputes your claim. Underestimate the total costs to repair or replace your vehicle. It is important to realize that you have one shot at getting a settlement. Once you sign any agreements, you will be waiving all future rights to compensation. Before signing any documents or making any statements that can be used against you, speak to an experienced car accident lawyer first. Gathering evidence, such as witness statements and traffic video recordings. This information can be used in negotiating with the insurer on your behalf. With a board-certified trial lawyer, we are prepared to take your case to court if an appropriate settlement amount cannot be reached. To discuss the types of damages you may be entitled to as the result of your claim, call or contact the Law Office of Steven G. Lavely online today and request a free case consultation in our Bradenton or St. Petersburg office.